Pictured on the left is extract and paste, center is a quarter pound of our high quality gourmet vanilla beans, next is pure vanilla bean powder and dried ground vanilla beans! Click the pictures to order your today. 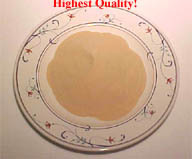 We guarantee the highest quality. When the Spanish conquistador arrived in Mexico they dubbed it vanilla or little sheath. They brought it back to Europe and by the 1660s it was a popular flavor used with chocolate. By the 19th Century vanilla had established itself as the most popular flavor in the ice-cream industry. Today world production of vanilla beans averages between 2000-2400 metric tons per year. Vanilla is an orchid and belongs to the orchidaceous family. Of all the hundreds of varieties of orchids only two species are commercially grown to produce the vanilla (POD) or beans. They are V.Planifolia and V.Tahitensis. The principal growing areas are Madagascar, Indonesia, Mexico, Mauritius, Tonga and Tahiti. Pollination of the vanilla orchid outside of Mexico occurs by manual process during a short period of flowering, since there are no natural pollinators such as the melipone bees of Mexico. Harvesting is done six months or so after fruit appears on the vines. Vanilla beans after harvest then undergoes a time consuming and laborious process of curing that gives it that unique and unmatched aroma and flavour. After picking it is first immersed in hot water very briefly to stop photosynthesis. The beans then undergo repeated drying in the sun for a couple of hours daily, wrapped in blankets or straw every night and when properly dried is then stored in ventilated storing rooms. After 3-4 months of this process the beans, brownish black in color, are then considered cured and ready to be sold in the market. Chefs and gourmets from around the world use vanilla in many of their signature dessert dishes. The naturally sweet flavor of vanilla finds its perfect match when paired with seasonal fruits. Vanilla brings out the round sweetness of the fruits. The organic, rich character of Madagascar Bourbon Pure Vanilla helps to take the edge off of any acidity the fruit may have. True Tahitian Pure Vanilla is slightly milder than Madagascar, and works nicely with tropical fruits and citrus fruits such as lemon, lime and orange. The fruity and magical character of Tahitian Pure Vanilla is a good compliment to dark red cherries, red berries, and cranberry. Furthermore, the smooth and mellow flavor of vanilla also partners well with tart components such as chantilly cream and whipped cream! Fresh berry tarts of the type that are produced by French patisseries are an application that lets each component of the dessert shine through while comprising an appealing whole. Vanilla can be used in the pastry crust, the cream filling, and in the light glaze to produce a dessert that has full flavor and a delicate character. A nice alternative to using Vanilla Extract is to use Vanilla Bean Paste. It not only adds a smooth, rich vanilla flavor, but also the visible vanilla seed specks, creating a natural, gourmet vanilla look. However it is paired, vanilla is sure to add elegance and style to the flavor and presentation of the most artfully prepared fruit desserts! Great in puddings and fillings and excellent sprinkled on cold cereals with sliced bananas! Our Chefs and buyers work with growers from around the world to find you the best vanilla available. 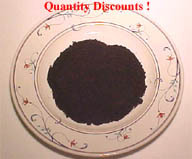 We sell only high quality vanilla beans, paste and extract at the lowest possible market prices. 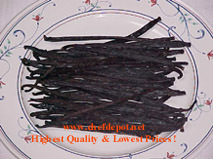 Our gourmet vanilla beans are large in size, plump, soft and juicy. Completely organic grown and Kosher certified. Our vanilla paste and extract is made from select madagascar bourbon vanilla beans (the best). The vanilla extract is 35% alcohol by volume. Our vanilla paste is alcohol free, it's the consistency of fresh honey. We guarantee our vanilla is the finest you can buy! Try it and you too will love it! The ideal climate for storing beans is a tropical rainforest enviroment. Since you are most likely not in one, you should leave your beans in a plastic bag, rolled up tight and keep them in a sealed jar or plastic container with a damp paper towel next to the bag (inside the container). Add more water to the paper towel every few weeks! Kep it in a cool dark cabinet. Use 4 Soft Magdagascar Bourbon Vanilla Beans, wipe with clean towel, use a sharp knife to split lengthwise. 1 quart brandy (vodka or rum also works great). Place vanilla beans and brandy into a glass bottle and tightly seal. Let it stand in a cool dark place for 2 - 3 months. Rotate and tilt bottle gently every week. Seal tightly and store in a cool dark place. This extract can be used for several years if properly stored! Click here to return to our Gourmet Harvest page. Creme Brulee Recipe... Click here! Homemade Vanilla Extract recipe is so easy. Enjoy amazing homemade vanilla with your next dessert. Click Here for non reactive Kyocera Ceramic Knives! Notice the Chef is using one of our USA made NSF stainless steel prep tables! Our kitchens feature NSF Maple Cutting Boards, used in all pro kitchens around the world!